If you familiar with our voyage and have spent a fair amount of time looking through the site, it will come as no surprise when I announce that our plans have changed, yet again. The best thing to expect is the unexpected. So when you see the heading ‘Cape Town’ it should not come as a surprise. There are however a lot of people that do not keep up to date with our ever changing plans. It is these people that I enjoy calling the most, the surprise in their voices and utter confusion always gives me a thrill. 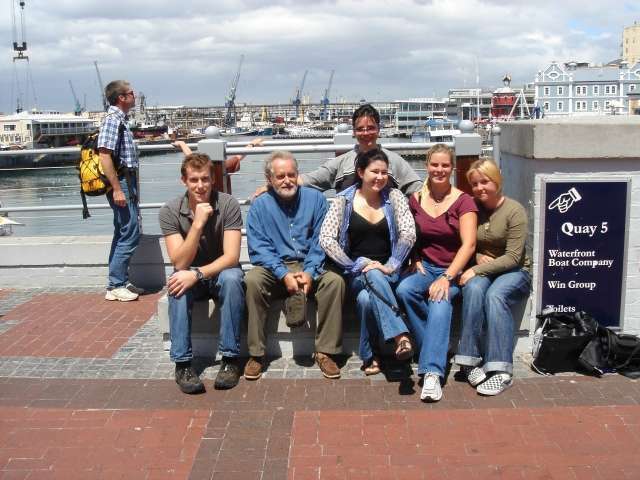 I decided to go to South Africa for a couple of reasons, of course one of which was to see friends and family. It was a lot easier to fly from Mallorca to South Africa than it would have been to fly from some tiny island in the Caribbean. I admit that under normal circumstances two and three don’t normally correspond, but then again who said that these were normal circumstances? 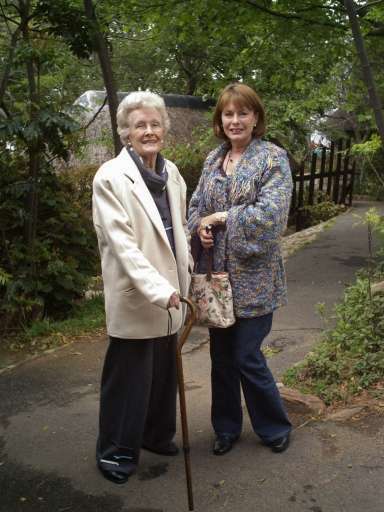 My Aunt and grandmother were kind enough to play chauffeur and ‘Do the rounds’ with me. It is always amazing going back to where I lived and seeing all the changes, not only in the land but in the people and the atmosphere as well. One of the biggest changes must have been when I went to my old neighbourhood and went to see Otto, Carmen and Christoph who lived up the road. Their son was one of the youngest in the neighbourhood and still when I think of him he is a small child around five wanting to play with toy trucks. When I walked up to Otto and his son Christoph I enjoyed the look that they gave me as I had just had lunch with my Aunt and Grandmother and was slightly too dressed up to go walking through the forest and dodging the horse enclosure. I later found out that the first thing they thought was that I was in real estate and was trying to sell them something or other. When however Carmen, Christophs mother came out to see what all the commotion was about she recognised me in a heartbeat, I wonder how that works? So after hello’s and catching up on some news (four years worth) we said our ‘goodbyes’ and just as sudden as I entered their world I left …as is my way. When most people think of Africa they think of the Big 5, which is the Lion, Buffalo, Elephant, Hippo and Giraffe. What about beneath the waves? How many of you said Whales? Innocent enough I guess, now how many of you said Sharks? South Africa and Australia are two of the most popular dining destinations for the Great White. The service is good, the meals are delivered, on occasion on odd shaped plates and if they can't finish their meal it gets sent back, and more will be served. What more could you want from a dining experience if you were a shark? On a more serious note I find the Great White a most interesting topic of study, discussion and of course observation. There are so many different ideas on the feeding habits of these animals that it sparks really lively debates in the local newspaper. Chumming and cage diving is one of the more lively topics. Proponents would say Shark diving brings money into the country in the form of tourism and strengthens the economy. There are designated areas where chumming and cage diving go hand in hand. The increase in shark attacks has nothing to do with the increase in chumming activity. Chum consists mainly of blood and attracts sharks in search of food. When the sharks approach the boat and the divers in the cage there is no food. It is because of this that there is no connection between blood, food, boats and divers. The sharks have become accustomed to the fact that the chum does not represent food and as a result neither do boats and divers. Opponents, on the other hand, say that Shark diving brings money into the economy, but it has had a very dangerous effect on the environment. 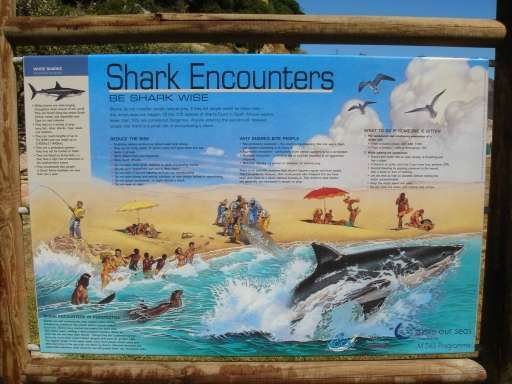 Because of chumming more sharks come to the coasts of southern Africa increasing the likely hood of an attack. Although chumming and cage diving are only in designated areas the sharks are not territorial and will also travel to other beaches. It is correct that chum consists mainly of blood but through thousands of years of evolution a shark will pick up the ‘scent’ of blood and automatically go to its source. Sharks don’t have the ability of rational thought and it is naive to assume that a shark will stop making the connection between blood and food because of chumming. So I turned to channel 35 and watched the Discovery channel. Come ON!!! This is Liz remember, I wanted to get up close and personal. I enrolled in a National Geographic diver specialty course, by PADI of course, who else would have thought about it and hit the water in Simons Town. 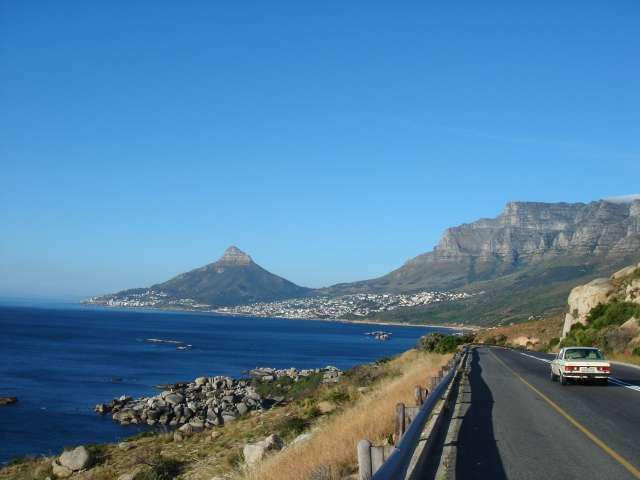 Known for, its railway track, Yacht Club, Navy Academy its long beaches and Great Whites (sharks, not obese Caucasians). The first dive that I went on I had to do some training skills so the rest of the group went one way and the instructor for this and I went the other. After completing the skills, which consisted of taking photos of different species of fish and vegetation in a small area we surfaced and went back to the car. While changing tanks the couple we were with were telling us about all the stuff that they saw, including a group of sharks. The instructor and Dive Master that were diving with the couple shook their heads at us as there were no sharks in the area they were just enhancing their diving experience by adding a couple of sharks here and there. Anyway, we made our way to the next dive site which was the boiler of a ship about 300 foot/ 100 metres offshore, surrounded by kelp. When we were all in waist deep water and about to descend, the lady from the couple panicked and ‘ran’ out of the water, shouting that she had just seen a shark. The speed at which she exited the water in full scuba gear was impressive; enough so to make us decide to get out of the water for the time being. We tried to find out what she saw but each time she described it, it was different so we soon began to have doubts. She refused to get back into the water, as did her husband/boyfriend. They then asked me if I wanted to dive, the water was freezing but with the possibility of seeing a Great White I said that I was still happy diving. Feeling stupid the boyfriend also decided to dive and we started swimming out to the dive site, our stomachs almost touching the sand. As before we divided into two groups, the first group did a kelp dive around the boiler in shallower water. The other instructor and I however headed into open water to a deep sandy patch as my skill for this dive, besides remaining calm was to navigate a square in open water. I started swimming the first ‘leg’, instructor in tow taking photos of crabs and worms in the sand, making good use of his macro setting on his new digital camera. I had just completed the second leg when I looked up to take my bearing (cheating I know but, anyway) and there on my left hand side swimming 45 degrees above myself who was now negatively buoyant sitting on the bottom. I don’t think I will ever forget the feeling, it was amazing! Was I scared, no, I was in awe, this huge animal was gliding in the water weightless. It’s whole body moving from side to side, propelling it forward, the gills opened and closed as the head and tail swayed in a lazy motion. The jaw was smaller than I had imagined, or maybe it just looked small compared to the rest of the body, had a slight over bite which had a slight numbing effect on me. And the eyes, the eyes are the windows to the soul; you’ve heard that before I imagine, but these eyes, they were dark, cold and I felt as if they were looking right through me. Not past me but through me. By the time the instructor realized what was happening the shark had already circled once. When the shark came again he was ready and started taking photos. Needless to say we swam back to the boiler scraping our stomachs on the sand, we got the rest of the group and all of us made our way back to shore touching the bottom. When we were in knee-deep water we removed our fins, stood up and as fast as possible waded out of the water. When we had taken off our gear we went back down to the beach for a debriefing and there, slicing across the water was a fin. I had always seen it in movies and comics but you never know the utter terror that it arouses when you actually see it, and we were standing on the beach. We watched until the fin disappeared once again and waited for it to surface again. When it did not we turned our back on the water and walked back up to the car. There, on the top of the hill in front of us was, what looked like the start of a very big smoky fire, it was however the Naval Academy signalling for everyone to get out of the water as fast and as soon as possible. Little late don’t you think? So for any of you who decide to do the PADI National Geographic course, make sure you know exactly what to expect and you won't have any sharkprises. P.S I later found out from the Instructor that the shark we saw was one of the biggest that he had ever seen or heard about divers diving with, comforting thought. So lets see, what’s next? Visiting the extended family I believe. By extended family of course I mean Katrin and Dave. Katrin is like my moms sister and my dad had known Dave since my dad was sixteen, no disrespect intended but that is a LOOOOOOONG time. 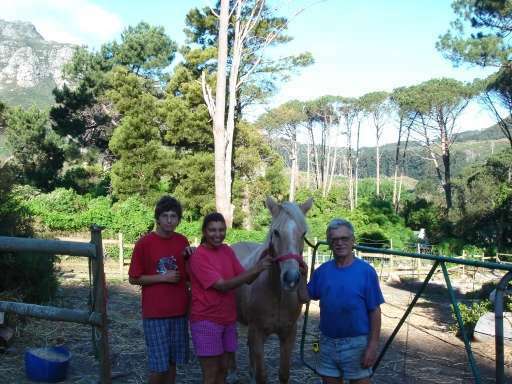 I actually stayed with Katrin, Dave and their four dogs for the weekend in a place near Hermanus that is so difficult to write, never mind pronounce that I wont even attempt to include it. A polish immigrant went to the authorities to apply for a driver’s license. First he had to take an eyesight test. The optician showed him a card with these letters. 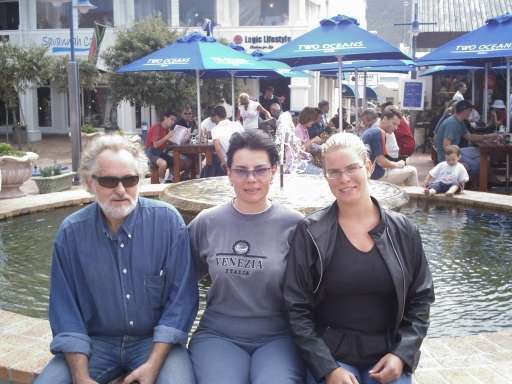 Anyway, I spent the long weekend with Katrin and Dave, it was great to catch up on news, so much had changed in all of our lives since we left Cape Town and only now was I beginning to see just how much. We went to Hermanus one day to look for Whales and we were lucky enough to see one that was very close to shore, it was absolutely amazing. A lot of people think that because I grew up on the ocean, all it’s wonders don’t affect me. This however could not be further from the truth, I feel ‘connected’ to the ocean and had the most amazing urge to get in the water with this Cetacian. This of course in illegal so I stayed on the shore, I did however scale down a bit of a cliff to get closer. It almost would have been worth getting arrested if I could just have a couple of minutes in the water before being caught. I spent another Saturday with Katrin and Dave and we went to see an air show. Eve, Dave’s daughter also joined us for a couple of hours to watch the planes. Both my dad and Dave are mad about planes. Dave actually builds and fly’s micro-lights and introduced my dad to Micro-lights about twelve years ago, it was the only thing that could get my dad up at 4am on a Saturday morning. I remember that while I was involved in the Mega yacht scene that having a little book called a Seaman’s Passbook, makes travelling in and out of countries, especially for South Africans a lot easier so I decided to find out how to go about getting a Seaman’s Passbook. It turned out that I had to take, yet another course, somewhat like my STCW’95 but not as difficult. The course that I had to take was called a Pre-Sea (ironic, been living on a boat for eight year) and lasted two days. The course was held in the commercial area of the Waterfront by a company called I&J. I&J or Irvin and Johnson are a company that sells seafood in South Africa and, as a result I was the only female in my class of fifteen. It was very interesting nonetheless as I had grown up on sailboat and although I had spent some time on mega yachts my fishing trawler experience was non existent and I was fascinated. I ‘learnt the nets’ of working on commercial boats. Something that I never do when I enrol in a course is tell people my age, I am sure you can imagine that it was awkward enough being the only female. It was also obvious that I was the youngest the next youngest guy was thirty something so it wasn’t exactly difficult to guess who was the baby in the group. The thing that really hit me hard though was at the beginning of the course, after introducing himself the instructor asked how many of the class could NOT write! If you thought this was a shock you can imagine mine when FOUR people put up their hands FOUR, that’s just over 25%!!!!!!! The next question almost just about knocked the wind out of me though. Please remember that this is a course for people who work on commercial fishing BOATS. And that work out in the South Atlantic OCEAN. And here comes the scary part FIVE put up their hands! Three of whom were really bad swimmers splashing around and required life vests to help them stay up, the other two swam like rocks, yip, ROCKS!!! When we practiced our pool training, I went just before two men who couldn’t swim so that when they jumped into the pool from a height with their life jackets on, I could tow them to the side of the pool. One guy was so nervous he tied his jacket on really tight. Only one problem, he wasn’t paying attention and the knot, as big and impressive as it looked, just came undone. So one, in water rescue later we all piled into a life raft. It was really crowded and, as I was one of the first who jumped I was one of the first in the life raft too and soon found two men sitting on my lap, it was interesting. The instructor took the certificate looked at it and said ‘No, it’s right, ‘89’. The faces of the other students was priceless, talk about a Kodak moment, where is a camera when you need one? Phase two of ‘Get the adrenaline pumping’ was to enrol in a five day Offshore survival course which included first aid, Fire Fighting and HUET training. 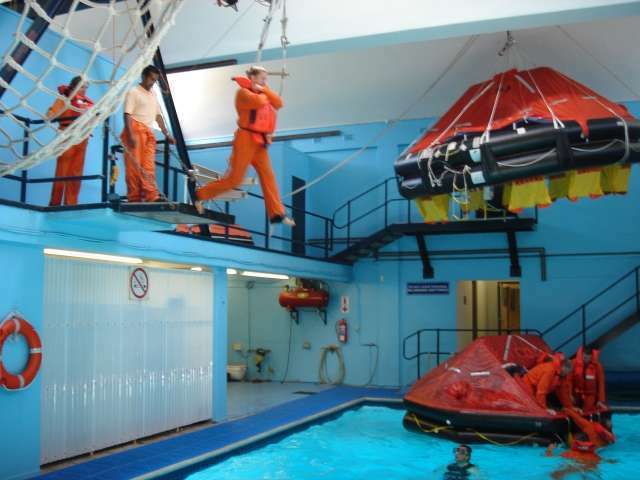 To give you an idea, the offshore course is held in a sea survival centre and is targeted towards people working aboard oilrigs. It is a requirement to anyone who will be working aboard oilrigs, whether a member of the fire crew, commercial diving team, radio controls or machine handling, everyone takes this course. As there were two of the same courses running concurrently, there were both day and evening classes, I was in the evening class. This worked out perfectly if you think about it because I could spend the day with my family and only had to leave them around five. Something that I had to juggle though was the fact that my grandmother gets up at eight every morning and as I was only finishing my classes around eleven and then had to study, I had the tendency to sleep a little later. Anyway, first evening of class there were nine of us and as part of forming a team we started of the evening stating our name, occupation and reason for doing this course. We had two older gentlemen who were both in electronics, one man in radio communications, two commercial divers, three others whose jobs were too complicated to remember and myself. Yip, got some funny looks but at least everyone laughed which, in my opinion is the perfect response when one wants to break the ice. Classes took place between 1800 and 2000 we took regular coffee breaks and had time to socialize and form strong bonds, an important factor for this type of course. Although teaching students how to prevent emergencies, respond if one should occur and ultimately, how to get out of there alive, the course also centres around the fact that there is no ‘I’ or ‘me’ on oil rigs and at sea in general. I did get picked on quite a bit during the course but I was expecting it. In fact, when the topic of hypothermia, its prevention and first aid, I started turning red before my name was even called. Call it intuition or logic, but I KNEW they were going to use me as the victim for this one. And so it started, what are the signs of hypothermia? Does Liz have Hypothermia? Treatment? Pool activities took place on Saturday and Sunday. Fire fighting training on Saturday was at a campus in the middle of no-where. The reason for this, there was going to be a lot of noise, water and smoke. I don’t think I realised just how much smoke there would be. The last fire-fighting course I did was STCW’95 and was on a tugboat. The only real fire that we had to fight was in an oil drum and was ‘clean’, it had no smoke. Well, we kitted up with the fire fighting gear, not exactly a fashion statement as the gear was rather big for me. They gave me the smallest size they had but said that they had never had a female doing the course before and had never needed smaller gear. First we had, of course the necessary theory and safety procedures, then it was off to put out the fire. The soon to be fire was, a pile of rags, wood, metal, and plastic drums covered with unrefined oil, gasoline, paraffin, paint thinner, paint tins and a whole lot of other unsafe, flammable, toxic materials. Now, depending where you grew up and in what environment you did so the above concoction of materials would seem irresponsible and dangerous, but you need to understand two very important things about these drills. 1st The people taking them are engineers, deck crews, commercial divers, mechanics, electricians etc. These professionals work on oilrigs and platforms, the chances that they will be involved in a fire containing flammable materials and oil is quite high, they need to know how to handle this type and other types of fires. One of the most dangerous places for a fire on a rig is one that reaches the ventilation system or the fuel lines. Because walls are normally reinforced and are metal the heat reached inside a compartment is incredibly intense unlike that in a house where the heat would cause the foundation to give way. It is because of these two aspects of a fire on a rig, toxic materials and confined environments that our second skill involved fighting a fire in a metal cargo container. 2nd Liability does not have a place, in this course and in most of every day life in South Africa. I don’t doubt that heads of companies and business-orientated individuals have insurance but it is not as evident as in the United States. It is because of this that no paperwork needed to be signed before climbing into a cargo container without a breathing apparatus, minimal fire fighting gear, and a garden hose to put out a coal and gasoline fire. So there you have the two reasons why we were able to do what we did, remember I was only seventeen at the time and a minor. I didn’t have my aunt or any other family member sign a release form, I just paid the money and went. It wasn’t all hard work though, ever had a water fight with three inch fire hoses? It’s a blast! Only thing is that you are soaked in a matter of milliseconds, the fights also have to take place far apart as the pressure can quite easily knock someone over. After a couple of laps of rolling and folding the hoses we were almost dry, almost. One of the guys decided it would be fun to see how far across the highway the water would shoot and, when the instructor was not present, opened the valve on a passing car. Agreed, it was very dangerous, but there were no other cars present and the car was dirty, plus that it was funny as hell. Speaking of hell, the heat in that place has nothing on the heat experienced when I found myself crawling on my hands and knees through a smoke filled tunnel, moving TOWARDS the source of heat. As soon as I climbed in and heard the door shut behind me, my heart started racing. I kept telling myself that this was just a course and that nothing could happen. But this is the real world as people keep informing me, there is no daddy to turn on the lights or no bell that’s going to ring and it with be recess. The instructors were outside, they had no way of knowing if something was going wrong. From the outside they could see the smoke exiting around a small opening, they could tell when we had put out the fire because the smoke would change colour and texture, but until then, they didn’t know. They would give us a few minutes to find the fire and to put it out before they even started to get worried. I rounded the corner on my hands and knees with the hose in my right hand, dragging it along behind me. The rest of the group were behind me, occasionally bumping into my legs or unhooking the hose for me as we rounded corners. The last turn I made put me right in front of the fire, the sweat was pouring off me and my fringe stood up from the heat like a hot wind had just hit me. I aimed the hose onto the fire and opened the valve. OH MY! I was scorched all up my arms, neck and face, even the guys in the back shouted. We couldn’t breath the smoke and steam was choking us. Trying to find breathable air we lay down, stomachs pressed against the ground sucking the air that was available five inches off the floor. I think that, at this point I am going to have to mention a couple of points that we learnt in school but might not have made the connection with in this circumstance. 1st Hot air rises, cold air sinks. This is why the breathable air was concentrated on the bottom five inches of the container. 2nd The difference between temperature and heat plays a major role in fire fighting. Temperature is the measure of the intensity of heat. I remember something from a physics book that explained heat and temperature when concerning water. If you place a candle over a ‘box’ of air and leave it for one minute, lets say the temperature is X degrees. It would take one hundred candles to raise a ‘box’ of water to the same temperature. So they are now the same temperature but what has more heat? The water, remember, we held one hundred candles over the ‘box’ of water. This is why, when I put the water on the fire, the water turned to steam instantly. The steam was water in gaseous state, which means that each molecule of steam (water) held more heat than each molecule of air. The reason that we all got burnt was that, by adding water into the equation I raised the heat capacity of the air and, as a result we were all scorched. Yip, I was the popular one in the class! So, as you can imagine I was not able to take photos of us inside fighting the fire, I do however have a rather blurred photo of the group after the training and before we had time to clean up. We did however all bring a change of clothes and soon the fire-hose had another use, washing us off. Sunday was very exciting and, was the main reason that I took the whole course. Sunday was the day that we did our HUET training. HUET or Helicopter Underwater Escape Training is a requirement for anyone working on rigs as, more often than not, the method of transport to the rig involves a helicopter trip. The pool training also consisted of life raft skills, the huddle and the HELP position. Something I am beginning to realise is that all the courses that I do, involve a huge amount of acronyms. HELP for example stands for Heat Escape Lessening Posture/Position. As part of our training we had to try and lie on our stomachs with our faces in the water. The reason for this was to reinforce the benefit of wearing a lifejacket. The life jackets were SOLAS (safety of life at sea) approved and were designed to flip the wearer face up, under any circumstances, unconsciousness for example. The Helicopter escape training consisted of us sitting in an aluminium model of a helicopter. We were strapped in and blindfolded, before the whole structure was raised and moved over the swimming pool. The structure was then lowered into the water. As it hit the water we had to ‘brace’. Bracing consisted of crossing our arms over our head with the top arm pointing in the direction of the nearest exit. The reason for this, as soon as we were submerged the helicopter rotated 180 degrees (we were now upside down), and, with blackened out masks and water up our noses, we were completely disorientated. I had no idea that it would happen so fast. When I was told about our bracing position that included our one arm reaching in the direction of the nearest exit I thought it was stupid. Everyone in the class was disoriented. We did it a few times for practice we also did it without masks which was easier as we could now see what was going on. I decided to have a little fun with the two support divers who were standing by outside the helicopter in case something should go wrong. We were supposed to ‘escape’ as soon as the helicopter had stopped rotating. Everyone undid the buckles and returned to the surface, everyone except Liz. I was just hanging there, strapped in and upside down. The diver came in to see what was wrong, he reached out to release my buckle, thinking that it was stuck and I hit his hand. It was then a game of will power, who would last longer, needless to say, he won as he was breathing while I was holding my breath. When we returned to the surface about a minute later (felt like a lot longer) both of us were killing ourselves laughing. Well, he was laughing, I was choking. Just before you think that I am irresponsible (I am, but that’s not the point), I had told the main instructor who was in charge from the poolside that I was going to be pulling a trick. I didn’t tell him what but he knew I could hold my breath for quite some time as one of the guys took it upon himself to try and drown me during the previous exercise. So that was the 5 Day Offshore Course, I learnt a lot, made new friends, have another certificate in my folder and above all, had a GREAT time!!! The following day was my last day in Cape Town and was spent at the Waterfront with Katrin, Dave, Eve, Richard and a special and unexpected addition Kayleigh-Moon. Kayleigh-Moon and I have known each other since my first winter in Mallorca and, while we were staying there we were inseparable. We had lunch together and spent the last hours that we had together talking and just being with each other. Then it was time to leave and, with promises of keeping in contact we went our separate ways. I went back to my grandmother’s apartment and finished off my packing, trying to squeeze everything into the bags and weight that I was allowed. My flight was very early the next morning and, once again, crumbling under the weight of bags, found myself making my way through the blurr that is an early morning check in. Here I start my trip, it would be nearly two days before I had another shower and a good nights sleep. My flight plan was a day flight from Cape Town, South Africa to Heathrow Airport, England. From there I changed planes and flew to Amsterdam International Airport, Holland. I had a twelve-hour wait in Amsterdam Airport before leaving for the Dominican Republic, located in the Northern Caribbean, sixteen hours away. From there it was on to Curacao, Netherlands Antilles, meeting with my parents. From there it was a car ride to the port where my parents had the boat out at anchor. A short dinghy trip and a total of about 37 hours later, I had a shower and relaxed.